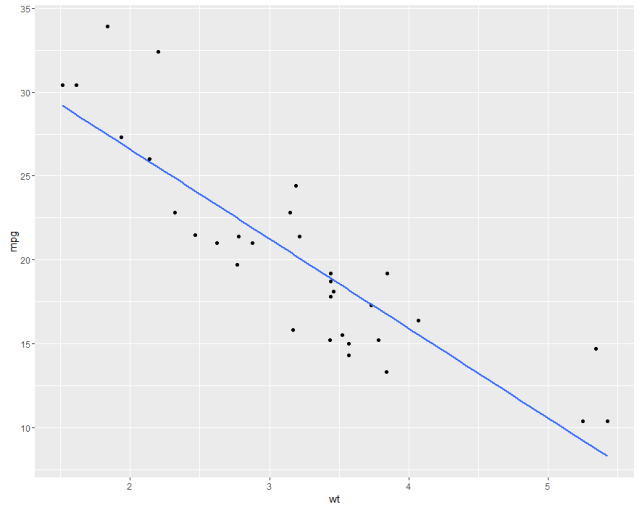 This section provides an overview of what ggplot2 is, and why a developer might want to use it. It should also mention any large subjects within ggplot2, and link out to the related topics. Since the Documentation for ggplot2 is new, you may need to create initial versions of those related topics. 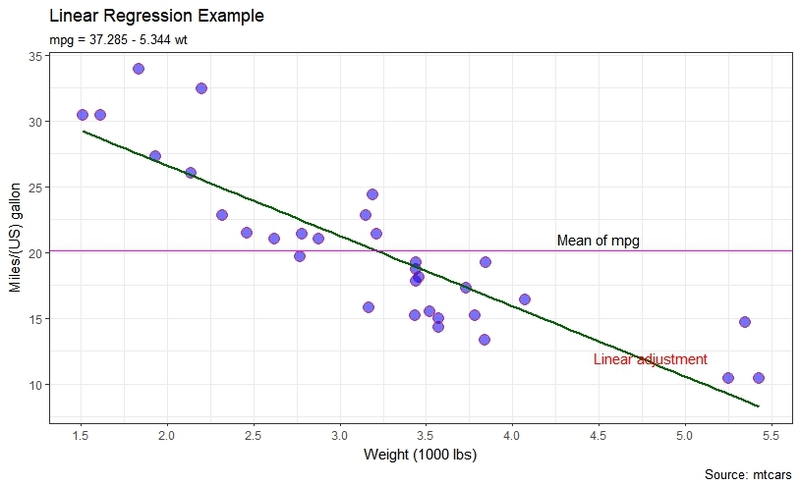 We show a plot similar to the showed at Linear regression on the mtcars dataset. First with defaults and the with some customization of the parameters. Load into your current R session, and make an example.